Boneheads Pet Services. Vancouver Dog Walking Services. All Day Off-leash Adventures. Why keep your dog cooped up all day? Our adventure hikes will get your dog out of the warehouse and into the wilderness. Your pup will still get all the socializing they did before, but in a much more natural environment that gives them the exercise they need. If you have been looking for an all-inclusive, premium pet experience then you have come to the right place. Our goal is to get your furry loved ones out of your empty house or the doggy daycare and set them free to do what they really love. The Boneheads adventures are an all-day event where your dog can enjoy the outdoors like they instinctively want to. This is not a one hour walk around the park. This is a peerless 3 to 4 hour play land adventure and your dog has access to every ride! 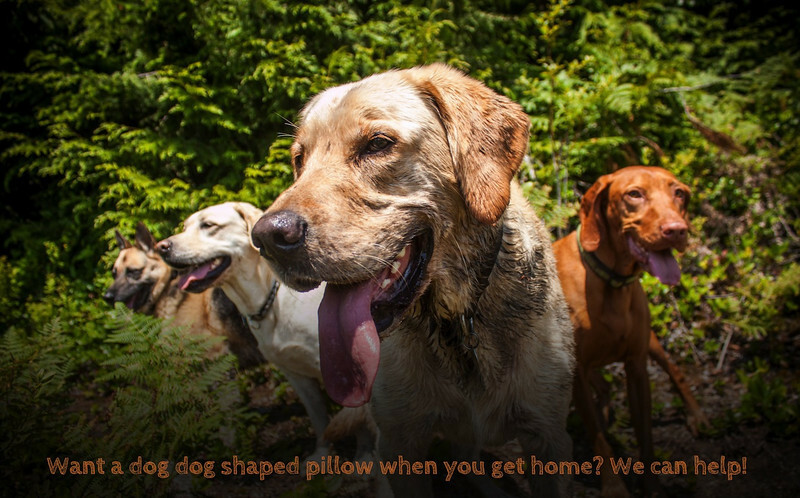 We bring them out to off-leash and people-free hiking trails that would make even you, the owner, envious! Creating a new category of dog care one mighty hike at a time. Get your dog tagged and ready to go! CURRENT UPDATES FOR YOUR PUPS. Wondering what your dog is up to when you're not home? We'll let you know with pictures every time your pup is with us. We'll send it through our daily photo galleries so you're always up to date! Never be late for work because you had to drop your dog off at daycare. Pick-up and drop-off are included with each adventure. Spacious trails offer plenty of variety depending on the fitness level of your dog and the weather conditions of the day. Water is accessible on every one of our treks so your 'BoneHead' is never dehydrated. Interested in being a bonehead?